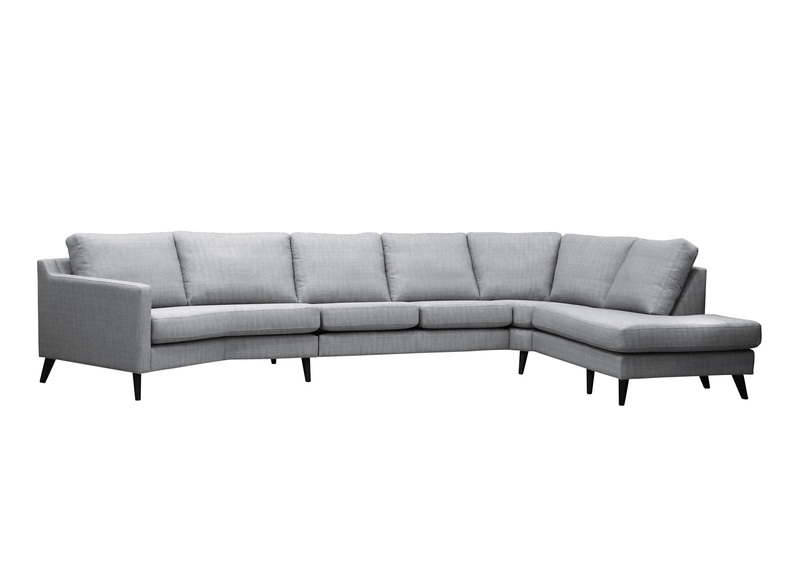 Modern sectional sofa with twenty-seven different modules to choose from. 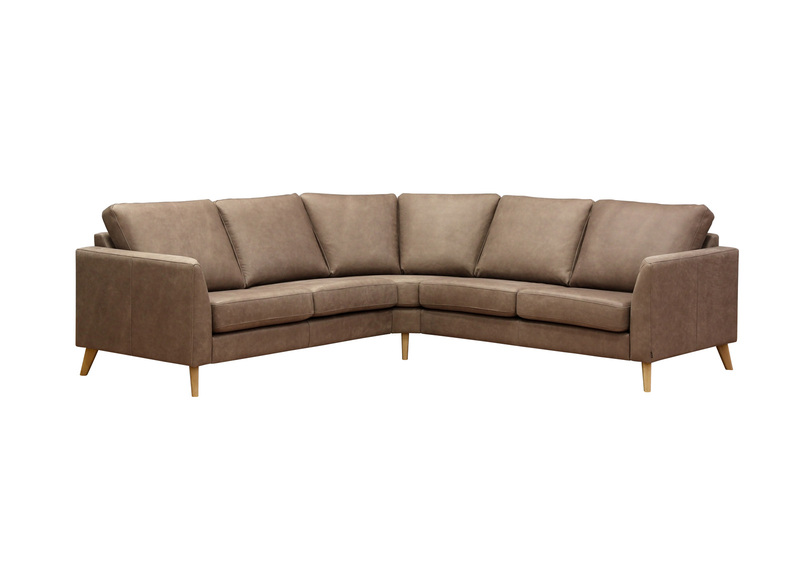 Fabric or leather upholstery. Wooden legs available in seven different colors, alternatively chrome or powder coated black metal.